High quality material tulle ,removeable sash tie back. Top body crochet part with lining,soft and fluffy bottom skirts ,very pretty. 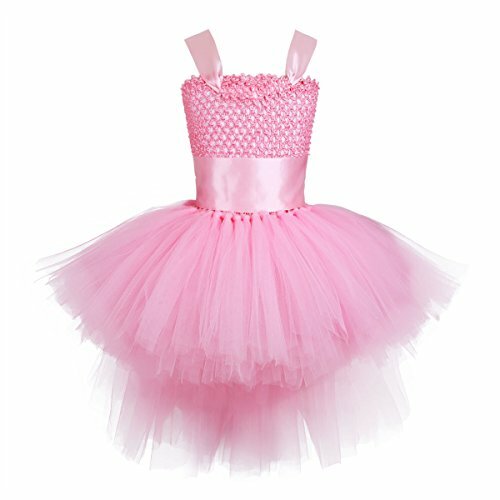 Flower girl dress,fairy princess tutu dress,long tulle party,dress ups,daughter father dance,wedding outfits. Perfect for party, wedding, pageant, birthday, holiday, photo shoot or other special occasions. If you have any questions about this product by YiZYiF, contact us by completing and submitting the form below. If you are looking for a specif part number, please include it with your message.